I've had some doozies of reality shifts, even by my standards, this past month. One of the more impressive instances happened when I was sitting in the front passenger seat of a car and witnessed something teleport. This incident involved me setting a Kleenex box down in between me and the driver of the car. I said, "Here is the Kleenex box," before opening the front passenger side door, and finding myself tripped up by... that very same Kleenex box! It had "jumped" down between my feet without me or the driver or anyone else touching it. It simply teleported. This was especially striking since I'd made such a big deal of saying what I was doing, so the whole thing played out a bit like a magic trick ("There's nothing up my sleeve")--but I wasn't doing a magic trick! By intending each day to find out "How good can it get?" regardless what seems to be going on, I recognize how witnessing evidence of reality shifts like this teleporting Kleenex box provides me with a fresh example that reality shifts are still happening, and these types of events still regularly occur. This experience gave me a chuckle as the Kleenex box was suddenly and inexplicably between my ankles. It may not have been what I might have hoped for, and that in itself serves as a great reminder to stay in a state of openness and trust, rather than interpreting something ‘random’ as having negative overtones. So rather than dwelling on the nuisance factor of a box of Kleenex ‘tripping me up,’ I focus my attention on the way that it seems possible to experience a greater number and variety of reality shifts by expecting them, so I can continue experiencing new-to-me reality shifts such as a teleporting-Kleenex box experience, that was new for me. The teleporting box of Kleenex also serves as a reminder to keep an open mind to viewing all events that might at first glance seem negative as possibly containing positive qualities. And keeping an open mind to discovering how we may see those silver linings provides us with a great likelihood of doing just that. We could dwell on what seems to be wrong, but we’re much more likely to experience future positive reality shifts by expecting to see just how good (rather than how bad) things can get. And recent studies have shown that there are numerous advantages of increasing our openness to new experiences—since openness is one of the ‘big five’ personality traits associated with creativity, success, leadership, and intelligence. My martial arts master once told those of us students learning how to do a high jumping fall that the key to success in this, as in riding a motorcycle, is to maintain a steady gaze directly forward, toward a distant horizon. He told us, “When riding a motorcycle, you end up going where you are looking, so your safety depends on looking straight ahead. Those who look down end up going down.” Learning to adjust our steering ever upwards thus helps us prevent hitting pot holes in the road of life. I invite you as you read through the reality shift experiences in this month’s issue of RealityShifters to consider how you might experience a greater sense of openness to new experiences. It’s fun to find out how good it can get with such a positively welcoming attitude! 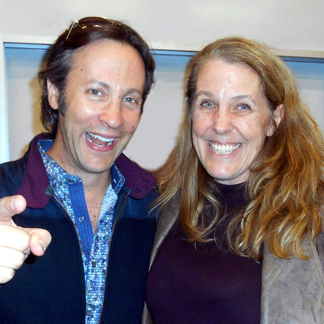 I attended an invigorating open discussion, “The Future of Neurotechnology: Human Intelligence + Artificial Intelligence,” led by neuroscientist David Eagleman and entrepreneur Bryan Johnson at my alma mater, UC Berkeley. The purpose of this talk was to discuss possible directions as we go forward to incorporate advances in neuroscience with those of Artificial Intelligence (AI), with awareness that there will be some degree of synergy between development of advances in human cognitive enhancement and AI. Eagleman and Johnson agree that it’s not a matter of IF but WHEN neurotechnology will become reality in our lives. Neuro-tech may not yet be a common household word just yet, but it is definitely well on the way. And in fact, now that most of us hold in our hands devices that allow us to access the internet, we already are starting to get a glimpse of how this merging of technology into the way we make choices, communicate, and remember important people and events in our life will feel. At this time when venture capitalists are understandably wary about investing in businesses with unproven track records that are operating on the “bleeding edge,” Bryan Johnson explained he invested one hundred million dollars of his own personal money in his company, Kernel, a human intelligence (HI) company to develop the world’s first neuroprosthesis for cognition. Working together with Ted Berger at USC, Johnson is exploring how new technologies might help us improve memory through neuromodulation. Johnson and his team seek to answer the question, “What if we could read and write neural memory in the hippocampus?” In 2013, Kernel’s NeuroPace proved itself to be a commercial success in quelling epileptic seizures. Future advancements may rely upon such new technologies as neural dust and nanobots. What does all this have to do with you? In much the same way that transportation is being revolutionized with the coming of robot cars and self-driving vehicles, neurotechnology is poised to transform Human Intelligence (HI) and Artificial Intelligence (AI), while reducing disease, dysfunction and degradation–and enhancing human cognitive functioning. My personal bias involves a preference to explore strengthening my awareness of what consciousness is and how it operates, working with natural human abilities that have historically been neglected, ignored or forgotten as technology has advanced. Some of my bias may be due to my being what is called an “exceptional human experiencer,” since I am a near-death experiencer, I am a meditator, I am a lucid dreamer, I have had a kundalini awakening experience, and I was ‘born aware’ (meaning I remembered being conscious prior to being born). Exceptional human experiences can provide people with access to heightened abilities to do some of the things we might also hope to enhance through neurotechnology–and I see a study of neurotechnology as potentially providing us with greater insights into optimizing our natural human abilities. I've been asked recently whether there is a difference between the Mandela effect and manifestation--and if there is a difference, what that might be. The short answer is: Yes, there is a difference, and it has a lot to do with conscious intent. A trending monicker for reality shifts is "Mandela Effect," in which many people may notice changes that seemingly have nothing to do with anything anyone was consciously wishing for, whereas in the case of "instant manifestation" and quantum jumps, we're focused on a specific intention. Mandela Effects and reality shifts often seem random and unexpected, surprising us with such things as: unexpected movie dialogue in a familiar scene, changes in writing in books we thought we knew by heart, and the occasional deceased celebrity being noticed unexpectedly alive again. In contrast, manifestation and quantum jumps typically occur after we focus on a specific desired outcome, such as locating a coveted parking spot, or suddenly feeling as if we've had enough rest after a short night's sleep of tossing and turning. In the realm of manifestation, I've reported on hundreds of experiences involving such things as: improved health, broken-down or out-of-gas cars that start, and radically improved finances and relationships. 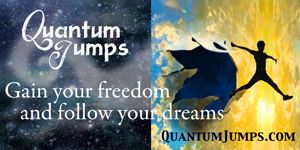 In addition to these, many of the quantum jumps shared on the realityshifters website and in my book, "Quantum Jumps" include case studies of people teleporting through dangerous situations, such as safely past oncoming vehicles or falling steel beams they seemingly have no way to avoid. While the presence or absence of conscious intent appears to be the main differentiating factor between reality shifts / Mandela Effects and quantum jumps / manifestation, there is also a definite area of overlap. Kristina from the Hawaii Healing Network interviews Cynthia Sue Larson, talking about the rise of public interest in Mandela Effect, and how we can be more likely to witness reality shifts. Kristina asks questions including one about whether there is some kind of ‘hundredth monkey’ effect going on that might be contributing to why so many people are witnessing changes in movie scenes and dialogue, book content, changes in old family photos, changes in product logos and names, changes in geography, and more. Kristina and Cynthia talk about how we can make the most of this phenomena to get more of what we most desire, instead of purely random things shifting, or shifts we don’t enjoy. Cynthia describes how we can experience elevated states of consciousness to experience a life that is more loving, kind, respectful and compassion—rather than experiencing realities based more on shadow energies, or things we’ve been told to want, that we don’t actually care about. Cynthia talks about the quantum paradigm, and some of the science behind the Mandela Effect—including ideas about parallel universes in a multiverse and the holographic universe idea. James Arthur Jancik interviews Cynthia Sue Larson, talking about the Mandela Effect, reality shifts and quantum jumps. 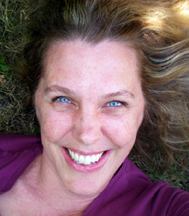 Cynthia talks about how lots of people are noticing reality shifts in a way that is becoming a social phenomenon with ‘Mandela Effects.’ Cynthia shares real life experiences with spontaneous healing, and talks about how reality shifts and the Mandela Effect is an old phenomenon that has been happening for millennia, and is likely the reason that life exists in our universe in the first place. There is a process involved in how we shift reality, and there is a way we can experience enjoyable reality shifts when we develop harmonic alignment between all levels of our awareness—from our heads to our hearts to our guts. Cynthia talks about how we are entering a new Quantum Age in which we can more often experience reality shifts and quantum jumps as we become aware of how quantum phenomena does not only exist in ‘the quantum realm,’ but rather can be experienced at every level of reality. James Arthur Jancik describes some shifts he’s experienced, and talks about how such experiences include an element of plausible denial. 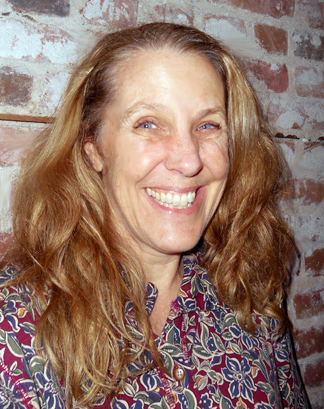 Tune in to hear this enlightening conversation between Dr. Jose Calderon of Whole Body Mental Health Radio and Cynthia Sue Larson. This show seeks to broaden the discussion about mental health and addiction by discussing a whole range of topics, from genetics and the gut-brain connection, to psychology and psychotherapy, recovery trends, pharmacology, mind-body-medicine, community health, public policy, cross cultural psychiatry, managed care, and the environment. I've just read the message Ruth sent you, where she mentioned Abraham Lincoln having a son who lived on to adulthood. I too heard that same thing just around the end of October 2016. Never had I heard this before then, being from Illinois myself, where Lincoln spent much of his life. Illinois is called, "The Land of Lincoln.” Lincoln was my favorite president, and I studied him ever since I was a child. The only son Lincoln had that I recall was Todd, who died in childhood! Thanks for the sharing of experiences, another person mentioned hearing a whoosh sound. I hear those too, but at times I just feel the shift—which feels kinda like my surroundings stuttered. I know that probably sounds weird, but it's the best way to describe it. And hey, let's get real—this jumping is weird! I'm hoping one day it gets truly explained. Thanks Cynthia for always listening and sharing these events. Note from Cynthia: Wow, I'm so glad to hear from someone who has studied Abraham Lincoln's life and biography, and like me, you also only previously ever heard of Lincoln's son, Todd, who tragically died in childhood! 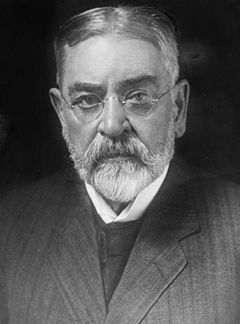 I read Lincoln's biography just a few years ago, so it was still fresh in my mind when I heard just last month, in October 2016, that Abraham Lincoln apparently also had a son, Robert Todd Lincoln, who I've previously never heard of. And that son, Robert, had children and grandchildren! What seems so significant to me with regard to this shift in reality is that many of us have wished that there could be descendants of Abraham Lincoln. And now there have been! Perhaps at some point, we'll suddenly find there are currently living descendants, too! I see that the official history about Abraham Lincoln now shows that he and Mary Todd Lincoln had four sons, with only one living to adulthood and having children. 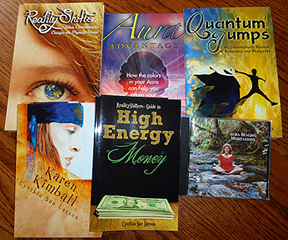 I have had an experience in the past where I became fully aware of a specific future reality. I was working for a telecom company in 2011 and the woman sitting in the cubicle next to mine came in distressed one day. We would chat at work but had no contact outside of work. I noticed something was wrong and she explained that her father had diabetes and has been on dialysis. His kidney function kept declining and he had been hospitalized briefly again. I listened and sympathized but said very little. However inside I had experienced a branching off. I knew, I didn't see or feel, I knew that he would need a transplant, that I would be a match and that I could save him. Now I felt a bit ashamed of myself for even having this thought because I thought I was somehow making her real and serious experience about me somehow. That night I shared my experience with my then husband, who had very little to say about it. Months passed and I changed jobs to another telecom company, and lo and behold after a number of months there, I came in one morning to this same woman who was now occupying a desk directly in front of me! I certainly took note of this as a sign, but said nothing. Shortly after this, my marriage ended, and I became the single parent for our daughter who was now just over a year old. Anyhow, a few months later, this woman comes back to work after Christmas holidays and shares that her father had nearly died. She and her family had been tested because he needed a kidney transplant. They had no way to help him, and the waiting time was years. I asked her what his blood type was, and she said “O+,” so I picked up the phone and called my doctor. I told myself that if our blood types matched, that I would know what I needed to do. Well it was a match, and I told her right there that I would give him one of mine. She was in shock. I went to the Transplant society here in Vancouver, BC. They found me perplexing and said that to donate to someone I have never met would be considered unethical, but they would do the blood work just to see, since I was so adamant. Well our anti genes were a very strong match. No surprise to me. Then they started taking me seriously. I had to meet with a psychologist and kidney specialist. I went through an entire year of testing. They kept asking me why. All I could say was because I could. I told them if they gave people an opportunity to donate, they would. In the end the surgeon called me in and told me that the patient needed bypass surgery and was unlikely to survive the procedure. They actually said they thought it would be a waste of my kidney! I told them that giving him every opportunity was the point regardless of the outcome. He died three times during the procedure, but survived. He lived for nine more years and was able to spend the final few years one of daughters had before passing away. He got to walk his other daughter down the aisle, and be there for the birth of his first grandchild. He came to my second wedding. He was also an inspiration to many people at GF Strong rehabilitation centre. This entire experience was life changing for me. I now work as a hypnotherapist. I see that brainwave state as our state of super conductivity. We are beginning to learn how magnificent this experience we call life is. Note from Cynthia: I thank you with all my heart for sharing this experience of yours, in which you experienced an immediate sense of knowing that you had an opportunity to help someone 'you didn't know' by offering one of your kidneys for a transplant surgery operation. How absolutely wonderful that you insisted on being considered as a kidney donor, and how marvelous it is that you trusted the bond between you and the man who may have started out a stranger, but ended up becoming family. After reading your story, I feel my heart opening wide, and I've got tears of love in my eyes! I have also frequently experienced being aware of an approaching opportunity to do kind things for 'strangers,' and I agree that this kind of knowingness feels to the one experiencing it like one is accessing the consciousness of others from a more highly interconnected state. To me it feels a bit like some part of me already knows what is unfolding and how I can help, and sometimes shares this information with me so I am poised and ready to assist. In fact, this very subject has been on my mind a great deal this past week, so I thank you for sharing your life-changing inspirational experience. I had a most curious experience. I went to a grocery store close to closing. It was empty except for me. I rushed through getting a number of sale items I wanted. My basket had these holiday-colored packages in the top part, and lots of stuff in the bottom. I went into the produce area, picked out an exquisite lemon, put it in the cart, and pulling the cart behind me, turned my back to get some grapes. I picked up a package of grapes, and turned to put it in the basket virtually right behind me since the lemons were but a few feet from the grapes. The basket was gone. I wondered how anyone could be so quick to take my basket, but turning in the wide-open produce area, not a soul [or a cart] was to be seen. I moved quickly to the isles and walked down the center lane, the length of the store. Nothing. One of the stockers putting stuff on the shelf asked me what I was looking for. I explained about the basket, and she said she was the one that collects abandoned baskets, but had not done so for quite a while. We asked the check-out clerk who knows me if anyone checked out since I had entered the store. Nope. He in fact was waiting for me since it was so close to closing. Now I pondered how and just why the cart might have slipped into another realm. Was there a store in another realm that suddenly had a cart with lots of groceries appear? Finally--I think I have the answer. The cart did NOT go anywhere. It was I that slipped into another very close, similar realm—one without my cart. Obvious, but I had not thought of this "solution" for quite some while. It would take a huge amount of energy or focus to move the cart--but to move myself, not at all the same. In our research here on remote healing, I saw this as a new paradigm. Rather than move the disease out of the person, move the person to a realm where they do not reflect the disease. Although that is a report for another day, there have been some remarkable remote healing experiences since this new perspective. Note from Cynthia: Thank you for writing to share your experience noticing your grocery basket with lemon vanished while you were at the grocery store the other day. Your observation that there was no obvious way the basket could have been moved, since it had been so close to you is important, as is the apparent fact that there would be no reason for anyone in the shop to play a trick on you, as the employees seemed eager to close up shop at the end of the day. With regard to "what's going on?" I like how you come to a similar conclusion to the one I share in my books, "Reality Shifts," and "Quantum Jumps," that rather than "attracting" or "repelling" things, the movement we observe is more likely due to the traveler being we ourselves--in the form of consciousness. And as with the healing experiences I share in my two above-mentioned books, this indeed does present us with the means by which remarkable healing occurs in accordance with a new paradigm. And in such fashion, people indeed can instantaneously be healed from cuts, burns, broken bones, and inoperable cancer---in much the same way that people often find themselves miraculously thrown clear of collision with trucks, falling steel beams, freeway on-ramps, oncoming cars, and more. And I am heartened to see that there is indeed a new paradigm arising to account for such things, as we see in the research of scientists working in such new fields as quantum biology and quantum cognition, such as I report on in my "Living the Quantum Dream" radio show. This one blew my mind today. I remember clearly right before a song of mine was put up on iTunes, I added this little percussion instrument onto the mix. Sadly, even though this track contained one of my favorite guitar solos, this extra sound played into my baggage and I could never listen to this recording without being bugged that maybe that last minute addition to the rhythm section did not belong there. Today I found an earlier version of this same recording that was unquestionably made years before I even had the equipment to add anything extra to the track. To my shock, the percussive sound I had added only recently was now on this original recording! This Mandela effect now allows me to to listen to this tune and feel good about it again. Note from Cynthia: Thank you for sharing your experience with noticing a new percussive track on an old recording you'd made long before ever adding that new track. How wonderful to be able to enjoy the track now, so you can enjoy that guitar solo! This story has got me believing that I was both people in alternate realities: Mann-Dela Effect? Years ago I’d written a play which was produced at a theater in San Francisco and starred my musical partner, Charee. It was during this time that I got picked to play a policeman in the film “Invasion of the Body Snatchers” starring my favorite actor, Donald Sutherland. It was a non-speaking part but I got to stand next to Mr. Sutherland and his costar, Brooke Adams for what seemed like days in this one scene. After two days of shooting, I was disappointed when I saw this great film for the first time and discovered my big scene had been whittled down to If you blink you’ll miss seeing Harve. I was later pleased when a book about the film came out and there was a picture of my scene featured. I bought two of them and sent one to my parents. Over the years I showed this picture to many people close to me. It was a profile shot with my face illuminated up to my policeman’s cap which was not visible. Standing next to me during the shooting was a tall extra playing a plainclothes policeman or detective. He was not in this shot, but I remember his face, mainly because he ran off with my policeman’s badge at the end of the shoot. More recently I used this picture in one of my music videos and my brother saw it and asked if I had photo-shopped my face onto the policeman. Now here’s where it gets funny. This past year I was messing with some film editing equipment and decided to make stills of a few of my other split seconds in the movie. There was one moment where for a millimeter of a second there’s a clear shot of just me and Donald Sutherland, again with the hat area not seen due to lighting. It was clearly my face. After saving that one shot, I didn’t get back to this project for a while. When I did, one of the pictures I copied but hadn’t really looked at revealed to me a real surprise. Standing next to the guy who no one ever questioned was me (including me ) , was ME! It was me with a clearly visible policeman’s cap on top of my unmistakable mug. So who was this other guy in the pictures? I don’t recall anyone in the scene who looked like me, and believe me, I had plenty of time to look around. Mandela Effect? Interestingly, the best picture from the Invasion of the ... experience comes up at 1:14 on the (Satin Charade) video link from the first story. It is a dissolve where you see the back of Donald Sutherland's head, a lady and clearly my face from back then -- only I am wearing a tie and no policeman's hat or uniform as I am in the shots I know to be me. Sadly, due to a recent computer crash the other pictures are gone. I hope to retrieve them at some point or at least take them off the DVD again. Note from Cynthia: your other experience with the Mann-dela effect is really amazing! I'd love to see the photos! I have been moving and my attention has been absorbed in other areas, and this came to me the other day. I understood growing up (and until just last night when I googled these things) that a presidential candidate had to have held the office of senator or governor. Is this something that rings a bell with you or any of the reality shifter bunch? For whatever reason, I felt a clarity regarding this, like it was something I had always known—yet, now today this is nowhere to be found in print or otherwise. This felt rather huge to me, so I thought I would get this off to you at my earliest opportunity, which is now. Life keeps getting stranger and stranger. Note from Cynthia: Thanks for writing to me with this question. I know what you mean about this matter being something I had always known--yet now there's absolutely no trace of it anywhere! In fact, now that I've had a chance to mull over what I do recall, I remember there was a time when some people where I worked in the 1980s would say "You should run for president" and I felt that would be unlikely because (1) I don't really want that job, and (2) I don't want to work in government leadership positions first on the way to becoming president. I seemed to have a belief prior station in some public office was required--though I didn't have sufficient interest in being president to fully follow up at that time. I'd love to know what other readers remember! 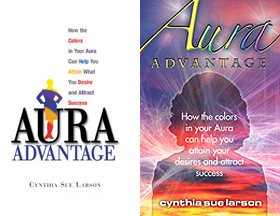 Did you publish your book "Aura Advantage" with two different covers? What does it mean if you can see both timelines at once? When I see two (or more) possibilities at once that both feel ‘real,’ I take it to mean that I have a choice of preference in this moment. I notice in those moments I am putting more attention and emotional energy on one than the other(s), and notice this then becomes the singular reality afterward, in most cases. I just have notice that I have shifted realities—not a good one though. How can I get back or change it? Thank you. One of the best ways to shift reality in a good way is to feel emotions of gratitude, forgiveness, love, reverence and awe. Spending time in nature can help you reset, and doing whatever helps you feel more yourself will also help you feel centered. From this positive place, it's helpful to do whatever good things you CAN do (actions, words, activities), while feeling optimistically open-minded that it is entirely conceivable that good things might yet occur. Ask yourself and the universe, "How good can it get?!" and really demand to know the answer to that question. Finally, detach emotionally--meaning let go of attachments to outcomes. I give more details on how to get into a reality shifting state of mind in my book, "Reality Shifts: When Consciousness Changes the Physical World." I'm sure you've been asked this before, and even being concerned with it (or curious about it) may hinder the shifting process. But I'll ask anyway: what happens to the old reality you shift out of? Do you suddenly become a missing person there? Was it only ever a personal hologram anyway, so it just ceases to function? What are your ideas on this? If you've covered it somewhere else, I will look there; I just need to know where to look. Thank you! For those who aren't totally detached from another reality, some of us experience a time of "flip-flopping" back and forth between two realities. As disconcerting as this experience can seem at the time, I am immensely grateful when such "flip-flops" occur, since they provide me with validation that I am, indeed, experiencing genuine shifts in reality, and not merely some kind of 'memory glitch,' as some classical scientists and reporters assert. Furthermore, I am grateful to have what I feel to be an opportunity to make a choice between which reality I'd truly most enjoy to experience, based on which one I'm more emotionally and energetically attached to (with whatever strong feelings I may have). I do realize this is a bit like being shown two possible desserts on a tray by a waiter in a restaurant--and the one I get is the one I am most entangled with. That is the moment all my spiritual "inner work" pays off, so hopefully I don't end up with something I'm still "working through." In the cases where no such flip-flopping occurs, the transition to a new reality can seem seamless and smooth, as if it was simply a natural progression and nothing out of the ordinary at all. I feel this is why so many people are blissfully unaware of the number of shifts they actually experience each day--simply because these shifts don't often seem exceptional, but rather are just part of the way we each experience daily life. And as to what happens with other possible realities--those we are not experiencing return to the realm of massive numbers of possible realities that are adjacent to what we do believe we've experienced. 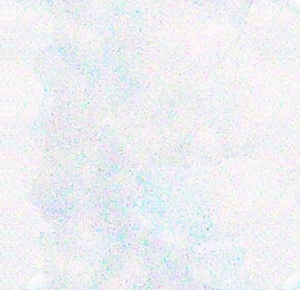 And unless we subsequently have memories of having done things that supposedly we couldn't have (such as having read books or seen movies we've not yet officially had any opportunity to experience--we may continue to be mostly unaware of just how often you and I--in the form of being pure consciousness--move through possible realities. I hope this helps! Hello! I hope you are well, I made a huge mistake resulting in losing something I really care about, I want to go back and change it, I found your page and feel you could help me, please! My best regards! I hope this helps. And if you'd like to schedule a consultation to work with me on the telephone or via Skype regarding this or other issues, please let me know your time zone (or city and state and country) and I'll be happy to provide you with some possible days and times we can schedule a session. This second edition of Understanding Consciousness provides readers with an appreciation for what consciousness is, and how we can come to better understand it--without ever losing touch with our intrinsic appreciation that at its very core, each of us takes consciousness very personally. Understanding Consciousness sets and succeeds at attaining two goals: (1) providing readers with a foundational understanding of consciousness, and (2) presenting Velman's reflexive monism model of consciousness. Understanding Consciousness does an excellent job of bringing readers up to date with the course of western thinking regarding what consciousness is and why it matters, starting with some of the best and most popularly cited definitions and moving all the way to current discoveries and ideas. Velmans starts this discussion by sharing the current leading definitions of consciousness, with 'substance dualists' such as Plato, Descartes and Eccles separating the cosmos into either matter or consciousness; 'property dualists' Sperry and Libet presuming consciousness to be an emergent nonphysical property; and 'reductionists' Crick and Dennett believing consciousness to merely consist of a state or function of the brain. I love how this book raises such excellent questions as, "If physical science relies on public, objective data, how can one establish a 'science of consciousness' which relies, at least in part, on subjective experience?" and then proceeds to describe how proponents of differing viewpoints respond. In this example, Dualists such as Renee Descartes considered this to be an insoluble problem, where as Reductionists and Material Realists have attempted to eliminate consciousness entirely, or relegating it to something supposedly 'objective' such as a behavior or brain state. Velmans proceeds to describe how there can be a better way to incorporate subjective information with his reflexive monism model. Velmans gets to the heart of the issue regarding scientific study of consciousness with his description of the way consciousness presents us with a 'causal paradox.' The causal paradox arises in the sense that when viewed from first-person perspective, consciousness appears to be required for most complex and novel processing. But when viewed from a third-person perspective, there appears to be no need for consciousness. Velmans then points out that any adequate theory of consciousness needs to resolve this causal paradox in a way that neither violates our intuitions about our own experiences, nor scientific findings. Velmans shows the weakness of eliminativism and reductionism, in the sense that while their proponents suggest the neural correlates of consciousness are consciousness itself, this view is inconsistent with anyone's first-person evidence about what our individual experiences are actually like. And humans naturally have a built-in ability to consider both what appears to be going on in the minds of others, as well as what is happening inside ourselves--thus having access to both sides of the so-called 'explanatory gap.' Velmans presents for our consideration a reflexive universe, inviting us to contemplate a cosmos in which we hold a much more finely nuanced perspective regarding how the phenomenal 'physical world' relates to the 'world as described by physics' and the 'world itself.' We are also invited to consider how the phenomena we experience relate to numerous entitities, events and processes existing at any given moment while not necessarily being experienced by us in the surrounding world, body and brain. Velmans' reflexive monism offers a relational way of understanding the universe without splitting it in two (Dualism) between mind and matter, res cogitans and res extensa. Within reflexive monism, we exist as simultaneous 'observers' and 'subjects' with no cut-and-dry delineation between observers and the observed in kind of 'psychophysical' point of view. While it might be said that this book reads like a textbook, I was grateful to read Velmans' viewpoints of background material at the start of each section, and especially appreciated the way his illustrations, tables and charts illuminated key concepts and drove home some of the more interesting insights. This book is perfect for anyone seriously interested in consciousness, the nature of reality, the mind, and artificial intelligence--highly recommended! Over 8,400 RealityShifters Subscribers live in 84 different countries around the world -- with the majority in the United States of America, Canada, the United Kingdom, Australia, Africa, New Zealand, India, the Netherlands, Malaysia, Mexico, Italy, Sweden, Germany, Brazil, Belgium, Singapore, South Africa, the Philippines, Japan, Norway, Ireland, Denmark, Spain, Israel, and Panama.